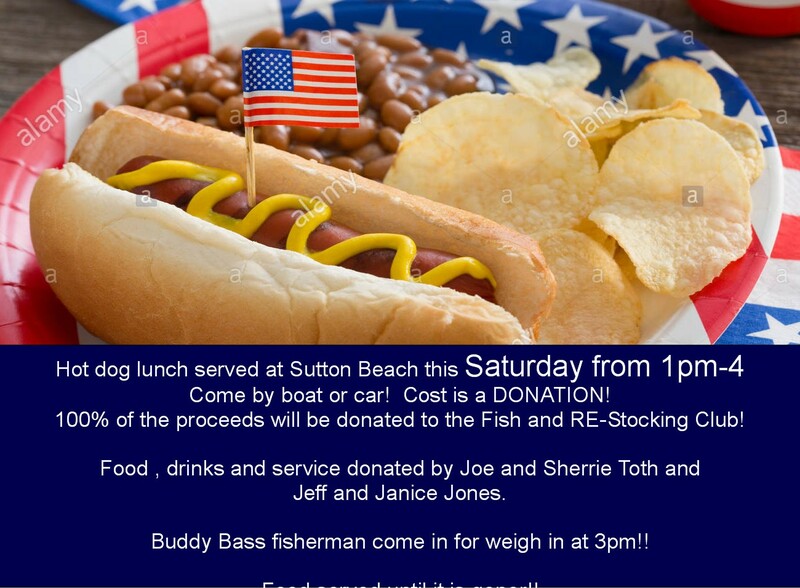 Stop by today, 5/12 for a hotdog lunch at Sutton Beach from 1-4. The Buddy Bass fisherman weigh in at 3pm. Fun for the kids to watch! Lunch cost is by donation! All proceeds go to the fish and restocking club.